In the City of Festivals, is it time to throw your own? 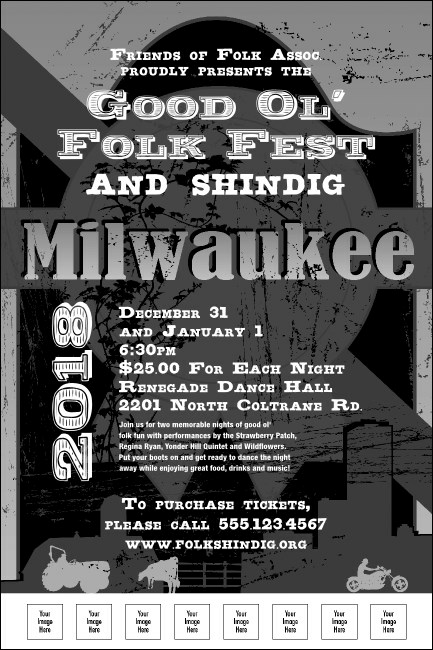 Promote it with the black and white Milwaukee Poster! Affordable and tastefully designed, this poster is a perfect choice for any local event. With space for eight custom image uploads you can give your guests a preview of the great time they’ll have! From Oktoberfest to polka parties, TicketPrinting.com has got it covered with great promotional materials.